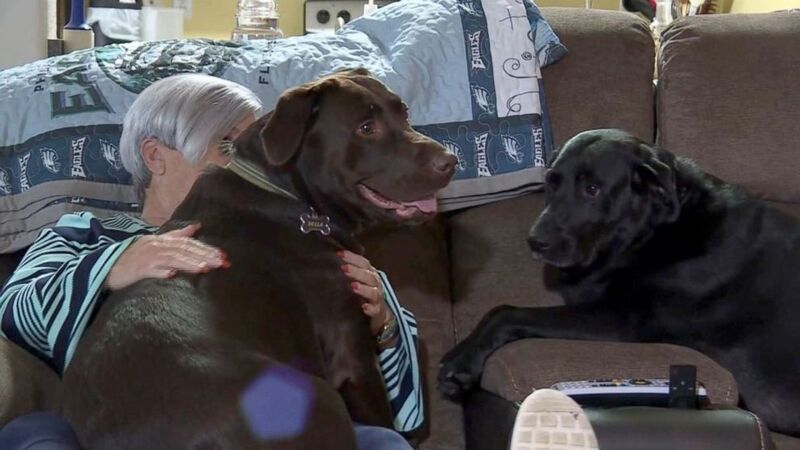 A woman who suffered a stroke at her home in Florida is thanking her quick-moving dogs for jumping into action and getting her life-saving help. On Dec. 3, Maureen Hatcher was in her St. Augustine house when she collapsed. Although she lives with her grandson, she was home alone with her two dogs, Bella and Sadie. 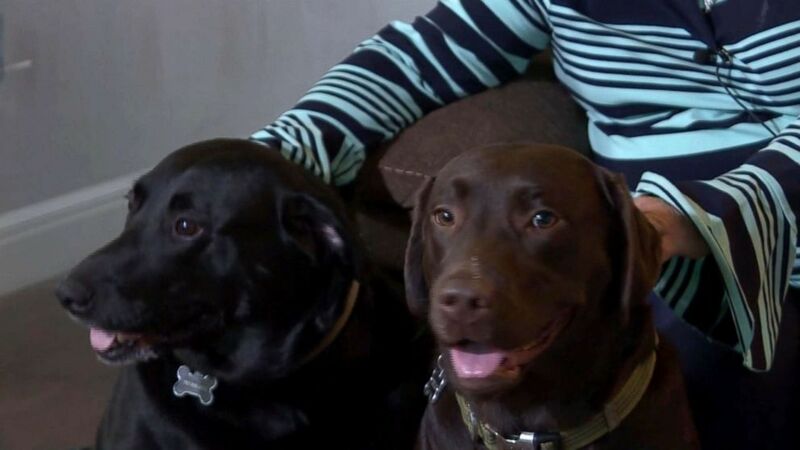 Maureen Hatcher's two dogs were shown on her home's doorbell camera running for help on Dec. 3 after she suffered a stroke in St.Augustine, Florida. "I remember Sadie coming in and I said ... 'Mommy needs help,'" Hatcher told First Coast News on Monday. "And then, they were gone." Her doorbell camera caught the two Labrador retrievers running out of the house, frantically barking. Hatcher's neighbor Alexandra Naspolini said that when she saw the dogs coming, she knew that something had happened so she followed them. "The house was so dark. I was so scared to be inside but it was like, 'Something is wrong,'" she told ABC News. Naspolini was able to locate Hatcher and call 911. Paramedics arrived and took Hatcher to a stroke center in Jacksonville, First Coast News said. "I do believe they (the dogs) saved her," Naspolini said. "I don't think she'd be here with us. I think everything has their purpose." Hatcher said she did not know how the dogs got out of the house but she was thankful that they did. "By rights, I shouldn't be in the shape that I'm in. I had an angel across the street and I had a great rescue in the neighborhood. I'm blessed, very blessed," she said.